Doug Lodato knows film financing. 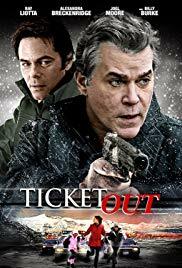 His last film, Ticket Out (Starring Ray Liotta) utilized tax credits to his advantage … bringing in a crew from one jurisdiction, while earning the tax credits in the shooting locale. A masterful move that earned him a nod or two from Hollywood. Give Doug a script, and a wish list of places to film, and he can draw up a financial plan with three (3) scenarios to best suit the aesthetics of the film … and the finances involved. He’ll instruct you in drawing up a sales presentation, completion bond companies, the path to attracting talent, the role of film festivals, and the importance of a professional budget & sales projections for any sized project. as an instructor in a seminar setting with your closest friends. This workshop is designed for producers, directors and filmmakers who are seeking funding for current or future projects – or in other words – every producer, director and filmmaker. 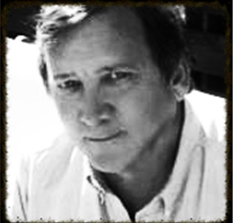 Doug Lodato attended Stanford University, where he earned a Bachelor’s in English with an emphasis in Creative Writing. He went onto attend Harvard’s Kennedy School of Government earning a Master’s in Public Administration. After a stint in a bank, he went to NYU’s graduate film school, where his classmates included some of the most well-known film makers of today. He raised approximately $800,000 after graduation, from private investors, and made a film which lost nearly every penny. He learned from this experience, and has studied film finance models as he has directed and produced. He raised over $5 million privately and combined this money with subsidy programs in North America to substantially increase the cash flow of the film Ticket Out, without diluting equity or selling rights. He is working on the financing of a few films he will make, including Crash Dummies, which currently has 70% of the funding arranged in Australia, and which he will make with Chris Noonan, writer-director of Babe. Doug covers the budgeting process, typical financing avenues, industry as represented by the studios, industry as represented by foreign pre-sales, private equity via Information Memorandums, and potentially cutting- edge subsidy/equity possibilities. He also offers his opinion as to what types of films have, in the past, represented the best entries into the industry for young film makers. How combining tax incentives, credits, and private equity investor funding work. Doug covers the basics of getting together the script, coverage, scheduling, budget and analysis for the film – complete with on-screen and printed documents. Doug discusses the steps of optioning, selling a script. He talks about some of the pitfalls in each structure. Foreign film rights may come with various limitations or demands. Gap funding, based on the supposition that if you have pre-sold certain markets, you can gain funding on the expectation that the other markets will bring in X amount, thereby allowing the lender to extend another percentage. Doug discusses using incentives in various locales – tax credits, rebates and other financial elements. Some places offer subsidies for labor, others for filming there, others for IP ownership. Doug talks above and below the line costs, and incentives that will work with one or both. He talks about combining the incentives from various locations, for example, bringing a Canadian crew (where incentives cover labor) to an Iowa location (where incentives cover the actual production activity.) This kind of thing can cover a substantial percentage of the budget, which means lowering the “break even” point, and requiring less investment from private sources. Lower amounts of investment, and lower break even points create more options in filmmaking, allowing the creators to have more control of the key decisions. Doug gives useful websites with references for specific areas, including a lot of the legal, accounting, incentives, etc. He details a full prospectus that would presented to would-be investors in the project, while also showing how the investment might compare with similar movies, with various scenarios of success or non-success, or with investments in the stock market. Doug describes “series A” and “series B” investment, where “A” funds help bring in the “B” funds, then get multiplied by some factor (one unit becomes two or three) in the final allocation of shares. Doug talks about the “above the line” folks being willing to invest a portion of their fees back into the project, showing confidence by sharing in the profit or loss. Doug dissects a typical budget, and discusses types of accounts and also completion insurance, as well as the need for good professional help for accounting, legal, analysts and sales agent roles. Doug covers different types of markets that are typical for theatrical, DVD, broadband, and other delivery systems. He explains hidden issues, for instance, in the foreign sales markets, where the terms of delivery can create certain costs you need to be aware of. He discusses markets and the sometimes quirky way that movie ideas are developed. He describs how getting a major partner to come in could help sell the project to other investors, as well as having the “names attached” and being able to use their other projects to show would-be investors what kind of quality they might expect. Doug also talks about some horror stories – intermediaries who stole investment funds, people who hold onto the money instead of paying it to those who are supposed to be receiving it, etc. Even some major producers had to sue to get the money from some distributors. Doug covers the major agreements that need to be signed. He gives examples of promotion and marketing materials like your look book, promotional video, etc. That is a lot of good stuff!